Although beneficial to a large group of people, administration of penicillin in certain people may initiate adverse reactions. Such people are said to be allergic to penicillin. The exact cause of this allergy is not known. Penicillin is one of the most commonly administered antibiotic medications. Several drugs are included under the group of penicillin. This group of drugs is available as injections, tablets, capsules and syrups are effective against a wide range of infections. Penicillin allergy is a condition wherein the body’s defense system or the immune system over-reacts. The immune system in your body can consider penicillin as a threat to the body and start generating cells and other biochemicals to eliminate the medicine. This leads to the occurrence of the signs and symptoms of penicillin allergy. Some of the commonest symptoms include the formation of rashes within a few minutes or a few hours of taking penicillin medications. In some rare cases you may develop severe reactions such as wheezing or difficulty to breathe. Always inform your doctor about any such reactions noted following the administration of penicillin. 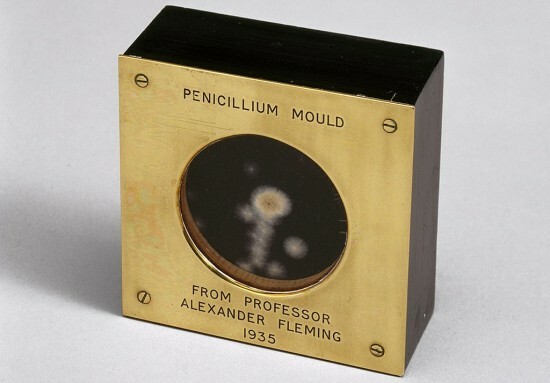 It has been estimated that about 1 to 10% of all people are allergic to penicillin. It has been said that penicillin allergy results in about 300 deaths annually in the United States. Reports have noted that penicillin allergy is more common in women to a certain extent. Further, younger people are more prone to suffer from penicillin allergy while it may be noted at any age. How do I know if I am allergic to penicillin? Penicillin allergy is characterized by symptoms that are common to any allergic reaction (can sometimes resemble the reaction to an insect bite). Some of the symptoms of penicillin allergy include the formation of hives, rashes on the whole body or certain specific areas of the body. These are commonly noted around the site of injection, if penicillin was administered as an injection. Other symptoms noted include itchy skin, wheezing and swollen lips, tongue or face. Inform your doctor immediately if you notice these symptoms after the administration of penicillin. This also holds true for any other drug. Most of the allergic reactions are quite mild and tend to reduce following discontinuation of the drug. However, in some people it can lead to serious situations. Skin testing is the method used by doctors to test for penicillin allergy if you have never been given penicillin before. During this test the doctor injects a small dose of penicillin to check whether you are allergic to it. If you are allergic to penicillin, then within a few minutes you will notice the formation of rashes or a small bump in the region where the injection was given. If not, you will not have any signs or symptoms. In some cases you may develop such reactions several hours after the drug has been administered. When to seek emergency care? People with severe reactions may need immediate medical attention to provide life-saving measures. One may need to be admitted to the hospital counter the reactions to penicillin. In majority of the cases stopping the drug is all that may be needed. Your doctor may ask you to discontinue the medicines and put you on other types of antibiotics. In some cases where the rashes may be quite severe, you may be asked to take drugs belonging to the group of antihistamines. These medicines help to reduce the allergic symptoms noted in your body. In some cases where penicillin administration is considered an absolute necessity, the doctors may start a desensitizing protocol. During this process penicillin is given in low doses at regular intervals under close medical supervision. This helps the body to get used to the drug and allow the administration of higher doses of penicillin. It may take one or two days to become used to the medicine. This should never be attempted at home. How can I prevent penicillin allergy? You should always make a note of any allergic reaction noted after taking any medicine. Inform your health care provider if you know that you are allergic to penicillin or if you suspect that you may be allergic. The doctor will perform the skin test to confirm your allergy to penicillin. There are several other antibiotics available if you are allergic to penicillin. The doctors may advise you to undergo the desensitization protocol to prevent penicillin allergy. This is commonly advised if the doctors feel that penicillin is the most appropriate drug for your present infection. What are the drugs that I should avoid if I am allergic to penicillin? Make sure to read the label of any antibiotic medication that you have been advised. This is especially true in case of combination drugs. If you suspect that it may contain any type of penicillin ask your pharmacist or your doctor before taking them. Anybody knows why some people develop penicillin allergy? Allergic to antibiotics? What are alternatives? Comments and reviews on article "Penicillin Allergy: Are You Allergic to Penicillin?" What are dangerous drug allergy symptoms? If I wash my pillow will it kill dust mites and stop my allergy?